Mr. Valliere serves as Special Counsel in our Dallas, Texas office. 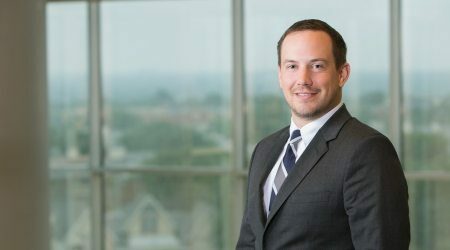 A graduate of Ohio State University and the Paul M. Hebert Law Center at Louisiana State University, he has spent the majority of his legal career representing the interests of business clients. This extensive experience includes regulatory matters, litigation, business transactions, and fraud investigations. Having appeared before administrative, state, and federal courts in Louisiana, Mississippi, and Texas, Mr. Valliere is able to tailor the representation of the client’s interest with specific attention to subject matter and location. Prior to joining the Galloway Law Firm, Mr. Valliere served as Supervising Attorney in charge of statewide transportation regulation within the State of Louisiana and as a Partner with Parker Straus, in Fort Worth, Texas. Paul M. Hebert Law Center, Louisiana State University, J.D.